Daniel Wagner is the founder and CEO of Country Risk Solutions and a widely published author on current affairs and risk management. Prior to forming CRS he was Senior Vice President of Country Risk at GE Energy Financial Services. Daniel began his career at AIG in New York and subsequently became a Guarantee Officer for the Asia Region at the World Bank Group’s Multilateral Investment Guarantee Agency (MIGA) in Washington, D.C. After then serving as Regional Manager for Political Risks for Southeast Asia and Greater China for AIG in Singapore, he moved to Manila, where he had several roles at the Asian Development Bank’s Office of Co-financing Operations, including as senior guarantee officer. Daniel has published more than 600 articles on current affairs and risk management, and is a regular contributor to the South China Morning Post and Sunday Guardian, among many others. He is also the author of five books: “AI Supremacy” (co-author), “Virtual Terror”, "Global Risk Agility and Decision-Making" (co-author), “Managing Country Risk”, and “Political Risk Insurance Guide”. (For a full listing of his publications and media interviews please see www.countryrisksolutions.com). Daniel holds master’s degrees in International Relations from the University of Chicago and in International Management from the American Graduate School of International Management (Thunderbird) in Phoenix. He received his bachelor’s degree in Political Science from Richmond College in London. He can be reached at: daniel.wagner@countryrisksolutions.com. Keith Furst is the Managing Director of Data Derivatives, a consulting firm focused on implementing, validating, and fine-tuning financial crime systems. He has many years of extensive consulting experience working for a wide variety of financial institutions focusing on the documentation, design, model development, implementation, calibration, and validation of financial crime systems. Keith has broad exposure and hands-on involvement in all phases of the project life cycle for transaction monitoring, know your customer (KYC), customer due diligence (CDD), sanctions, trade compliance, and anti-fraud systems. He has worked for banks in New York City under extreme regulatory scrutiny and helped guide them through the complexity of transforming their compliance system infrastructure to meet industry best practices and guidelines. He has also optimized financial crime detection models and recommended tactical configuration changes to thresholds and parameters by using data mining and other statistical techniques. Through multiple project engagements he has developed a stellar reputation as the “go-to” person when mission critical defects or failures emerge, as he has proven his ability to be one of the few individuals who can lead the effort to quickly identify a problem, drive executive buy-in for the proposed solution, execute the plan, and validate the final results. Keith has also spoken at industry conferences, private executive dinners, and via live video webinars around the world, including in London, Paris, New York, Toronto, and Singapore. He has trained other financial crime professionals and developed a majority of the content for a sanctions screening module. 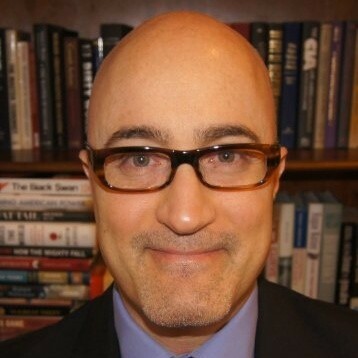 He writes thought pieces frequently and has been published in the American Banker, The Asian Banker, the Association of Certified Financial Crime Specialists, and The South China Morning Post on a diverse range of intricate topics such as financial crime, artificial intelligence, and risk management. Keith holds an MBA from the Baruch College Zicklin School of Business and a BA in Philosophy from Queens College, both in New York. He can be reached at: kfurst@dataderivatives.com.